The Maine Educational Loan Authority (MELA) is an adjunct body of the state government that functions independently. MELA helps Maine’s students bridge the gap between the full cost of a college education and their federal financial aid by providing low-interest, long-term loans and other monetary incentives. The flagship state program provides a low-interest loan that cover the hole between the full cost of your education minus your financial aid package. You can borrow as little as $1,000 or more than $10,000. The Maine Loan is a credit-based program, and you’ll be expected to agree to a credit check as part of the application process. If you do not qualify, you may find a cosigner, such as a parent, guardian or friend whose credit is good and who trusts your fiduciary responsibility in repaying the loan. The Maine Loan is available to credit-worthy Maine residents attending approved schools at least half-time in the United States and Canada, and to out-of-state students attending approved schools at least half-time in Maine. The Main Loan comes bundled with perks that put it among the more attractive of state student loans. Most loans require you at least make payments on the interest beginning as soon as the loan is disbursed, or paid out to your institution. The Maine Loan allows for a deferment of payments up to six months after graduation (though you must begin paying interest). In addition, there are no penalties for pre-payment. Flexible repayment periods range up to 15 years. When you, or your cosigner, apply for a Maine Loan, besides a credit score, the other main component in the lending game is the debt-to-income ratio. If your cosigner already has a lot of debt in comparison to their income, they may not be approved. Either you or the cosigner must have two years of credit history and income, and you or cosigner must have a debt-to-income ratio of less than 50%. Take this into consideration when applying or in looking for an appropriate cosigner. Pursuing a medical career offers a lifetime of fulfilling work, but comes with a hefty price tag. MELA offers the Maine Medical Loan as an alternative to private loans and as an augmentation of federal programs. Eligible applicants for a MELA Medical Loan may pursue eight different degrees: Doctor of Medicine, Doctor of Osteopathic, Doctor of Dental Medicine, Doctor of Dental Surgery or Doctor of Dental Science, Doctor of Veterinary Medicine, Doctor of Chiropractic, Doctor of Optometry or Doctor of Podiatric Medicine. Medical students have the option to put off payments while in school and for up to four years of residency/internship. Flexible repayment periods range up to 15 years. 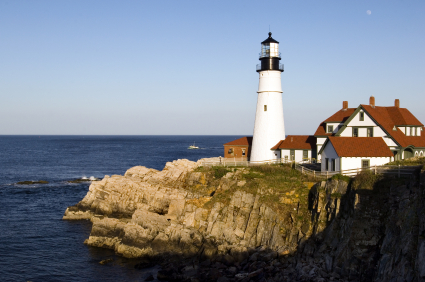 Students who are permanent residents of Maine, attending an approved medical school in Maine or out, or out-of-state residents at an approved Maine medical school are welcome to apply. Payments can be made with automatic bank account withdrawal, over the phone or online. Note: MELA no longer offers consolidation loans.